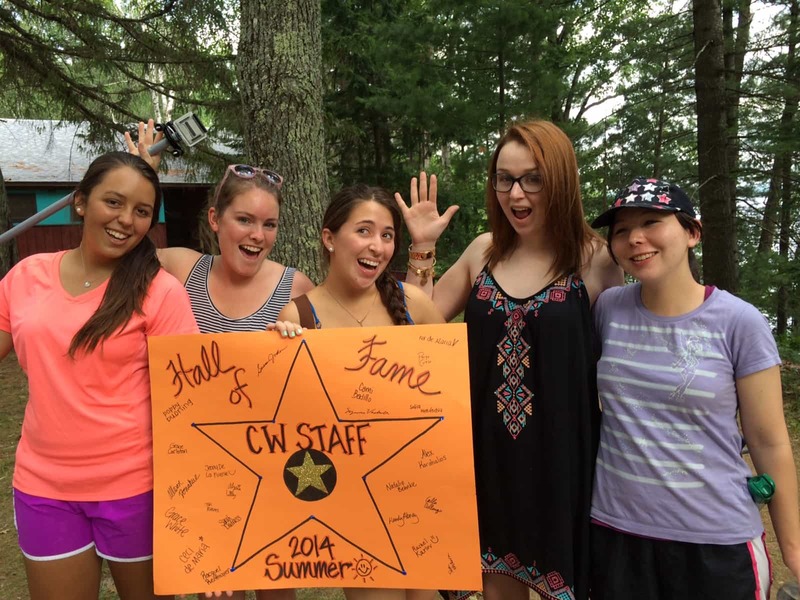 Camp Woodland | Star Search Comes to Camp Woodland! 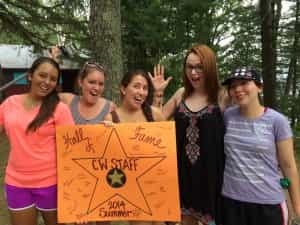 Star Search Comes to Camp Woodland! 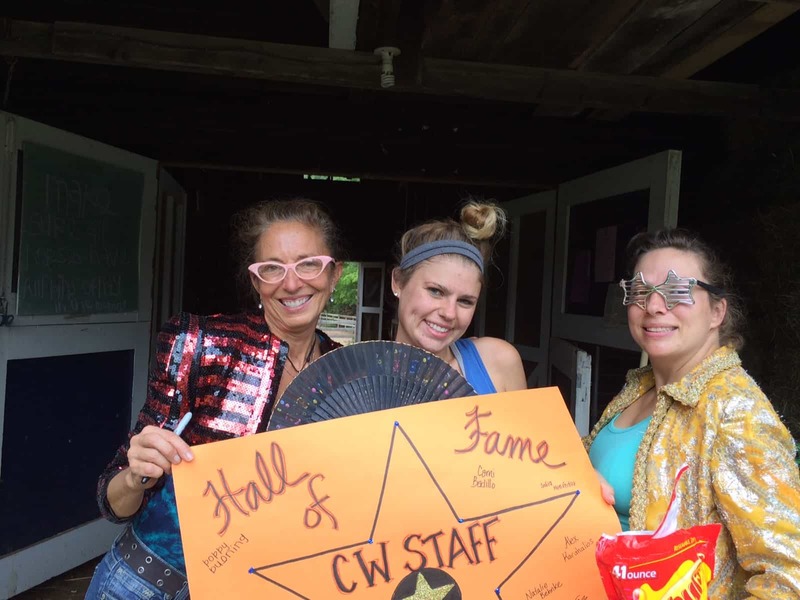 This week some unusual visitors “dropped by” on their coast-to-coast search for STAR CAMP STAFF, and Woodland being one of the premier summer camps in the US, was the perfect place for them to find the STARRIEST and SPARKLIEST staff around! 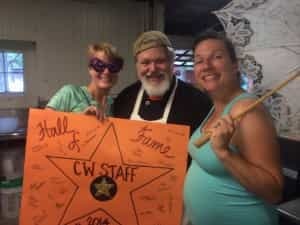 Once campers helped the Star Search Team spot and locate star staff, they got their picture taken, signed the Woodland “Hall of Fame”, and were given a special treat since they were “bursting with stardom” (a.k.a. Starburst candy!). 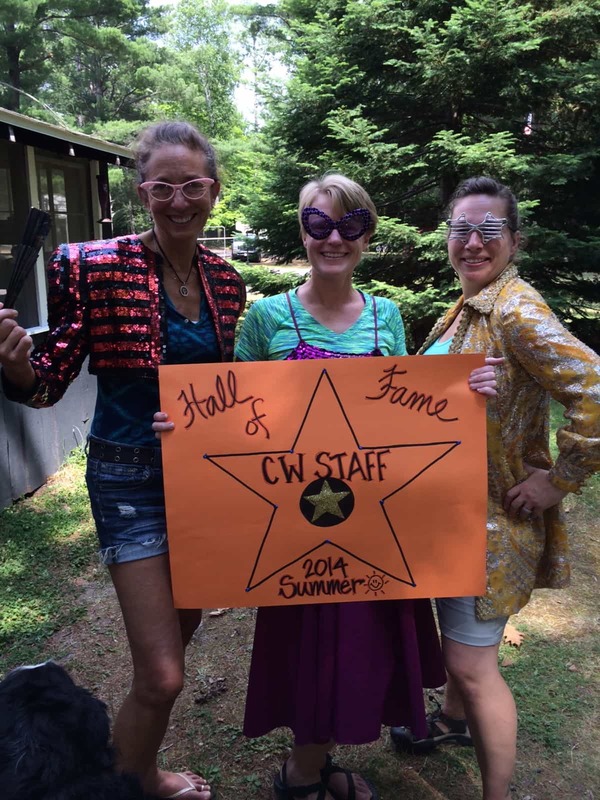 The 3 agents on this important assignment found their first Star Staff, Allison, preparing for her overnight canoe trip with Starshine cabin. The next stop was the riflery range where Star Staff Cami was teaching the girls at one of their favorite target sport activities. The team encountered a constellation of Star Staff at the Waterfront: Natalie and Grace C were headed out for an afternoon sailing period, and Tori, Ceci, Alex, Sarah, and Rachel were getting into position for Rec Swim. 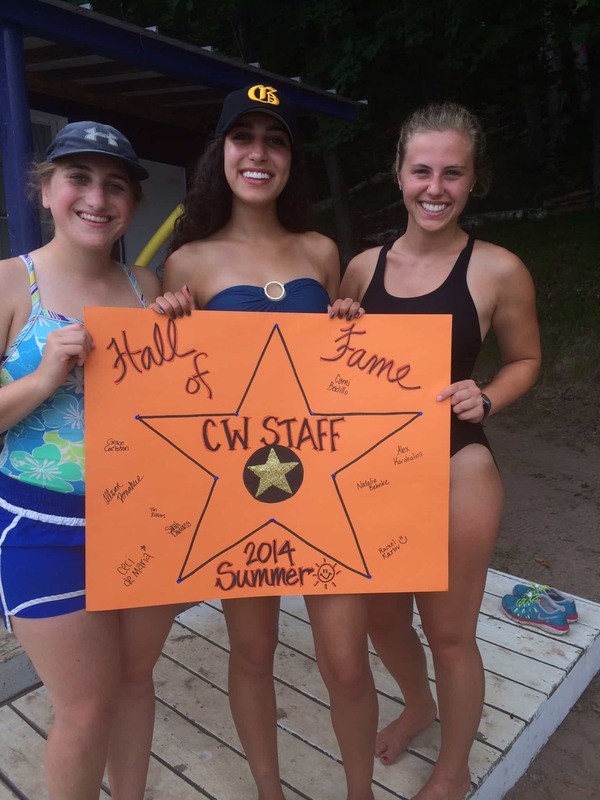 Meanwhile, Star Staff Susan, Grace W, and Courtney were teaching campers how to water-ski. The next Star Staff encounter was in the office where Wendy, Racquel, Alysia, and Calla were busy with preparations for Olympics and other important camp business. Star Staff Jenny was in the Rec Hall meeting with the 18 girls who signed up for Drama 3rd session. From here the Search Team found Star Staff Bobby, Suz, and Sam teaching riding. Girls were practicing their steering skills (without using the reins) and trotting. Once the bell rang for 5th period, Star Staff Fer de Maria was on her way to Arts and Crafts, while Paige, Courtney, Sofia, and Erina made their way to the next fun adventure with campers. Star Staff Lindsay was found working on Co-Ed Show moves and Star Staff Dan (and Cook Extraordinaire) was in the kitchen making Congo Bars and getting ready for Taco Bar. It was reported that Star Staff Amanda, April, and Brianna were in on making a camper favorite, lasagne, for lunch. Rumor had it that Star Ancillary Staff Chet had a much deserved day off! 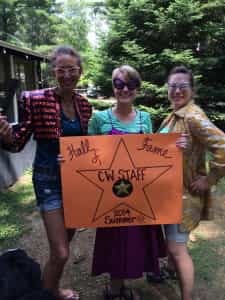 The campers (without any prompting) have decided to award “Counselor of the Day” in a similar fashion to the “Camper of the Day” recognition that is given by the Happy Hostess every morning at assembly. We have a WONDERFUL group of counselors and staff this year, and we can’t THANK them enough for all they do!!! Woodland Counselors and Staff, WE LOVE YOU!